I just got a new Mac and found myself missing a few vital programs when I first fired it up. If you are new to Macs or if you are looking for a few helpful programs, here are the first few I installed. 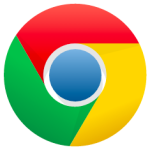 Chrome (free) – Safari seems to be getting better and better (and perhaps now it is even a better option than Google Chrome, but I still prefer Chrome as my browser of choice. In any case, it is good to have a few browser options in case a site isn’t working on one of them for some reason. 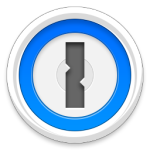 1Password ($50/free trial) – Many people don’t use a password manager. Many people don’t use seatbelts. Yes sirree. Seatbelts. Everywhere. It’s madness. Cool. I guess people got the message. I guess they are all using password managers now too, huh? Well, there are a few reasons why it is good to have a password manager, and I use 1Password (watch the video – it’s succinct) . There are a ton of similar products, but 1Password was the one I settled on; I really like what it can do. It is expensive, but it does a good job and for the convenience, it is worth it to me. Hazel ($29/free 14 day trial) – I was surprised how much I enjoy having this app installed. 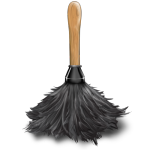 It automatically files, organizes, and keeps your computer clean. The main idea is you set up rules for the app to follow and every few minutes, it checks to run the rules. It’s hard to understand without experiencing it, so download it for free for 2 weeks and see what I mean. One of the rules I use is: look in the Downloads folder. If a file is older than 1 week old, move it to the trash. I figure that if it was important enough, I would have moved it to a specific folder outside of the Downloads folder within a week. The rest of the stuff is just taking up space, so I delete it to get rid of it. I also have a rule to empty the trash once a month, a few different rules to help keep my Google Drive folder organized, and one to clean up (and organize) my desktop (I’m talking to you icons-all-over-your-desktop person). 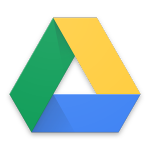 Google Drive (free) – Since St. Christopher’s School is a Google Apps for Education school, I get 1 TB of storage. And since I get 1 TB of storage, I use it as my backup solution. 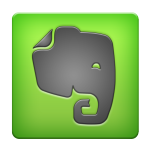 Evernote (free) – I find that as I’m surfing around the internet, I run across articles and sites that I’d like to keep for future reference. I also can take notes from my phone or computer that will sync with each other. Evernote is great because you can tag your notes, sites, and articles. If you’re one of those people who like to use search terms, Evernote is made for you. If you take a picture of your handwritten notes (and you aren’t too messy), it can even search any words in those notes for later organization. 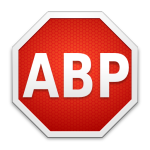 Adblock Plus – I get tired of seeing unwanted ads on all my websites. Adblock Plus does a good job of getting rid of them. If you have any apps I should keep an eye out for on a Mac, feel free to comment! On the way home from the pool the other day, this gem of a conversation occurred. “I don’t know, maybe nine? I confessed. Doo doo. 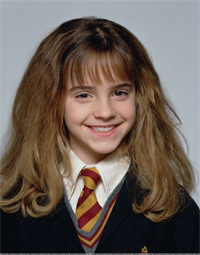 “Siri, how old is Emma Watson?” Dee dee. “How old is Harry Potter?” Bug inquired. Oh sure, like she knows everything. Doo doo. 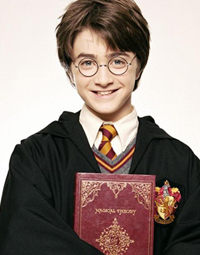 “How old is Daniel Radcliffe?” Dee dee. “Daniel Radcliffe is 25,” Siri answered with mocking superiority. “I don’t know what Ron’s name is. Yeah, yeah… Ask Siri.” Doo doo. “Who is the actor that plays Ron Weasley?” Dee dee. Oh! Not so smart now are you, Siri? You can’t even say his name. You have to make me look at my phone while driving. You call yourself a friend. Ha! Don’t you even care about my safety? Alright, let’s see… Rupert Grint. No wonder I don’t remember his name. Rupert sounds more like Hagrid than Ron. Doo doo. 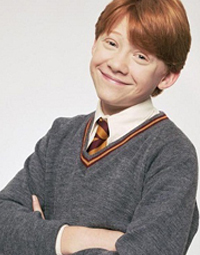 “How old is Rupert Grint?” Dee dee. “No! I’m telling her you told us to say that,” retorts Paco. “I’m better friends with you, daddy. My friends go: you, Mrs. Wilson, her son.” Bug has a way of trying to smooth things out when her brother is at odds with one of the parental units. Even though we were joking, she knows how to choose sides wisely. “My friends go: Mrs. Wilson’s son, Billy, Jimmy… ” Bug’s eyes grew wider with each proclamation, incredulous at her brother’s lack of loyalty. “I want 100 rolls of tape and a black tape thingy that has sand in the bottom. And a doll. And a puppy. And a pretend cell phone. “You should get a real cell phone,” Paco pressed. 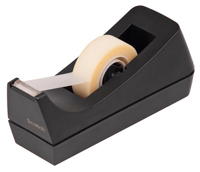 Oh for the days when 100 rolls of tape and a black tape thingy was all I wanted. A few days ago, the kids were out grocery shopping with Casey. As most of you are well aware, these trips rarely involve children walking hand-in-hand while harmonizing favorites from the Sound of Music. Although there were no such sweet melodies on this excursion, the kids were actually behaving. We’ve recently introduced a behavior management system for the summer and it seems to be working. It’s cut down on the whining, misbehaving, and ignoring, but even better, we are seeing some changes in their hearts. More on that in a different post. At one point in the store, Paco (a name I’ve called my son since birth – I have no idea why) happened to spot a package of shish kabob skewers. I can assure you he didn’t want them because of his love of exotic cuisine. Eating chicken nuggets and fries from our favorite local Mexican restaurant is about as wild and crazy as that boy gets. “Minecraft world,” Paco responded. I stared at him quizzically. “I don’t even know what you are talking about,” he added candidly while mindlessly tiling his castle’s floor. “This world,” he responded with a chuckle. 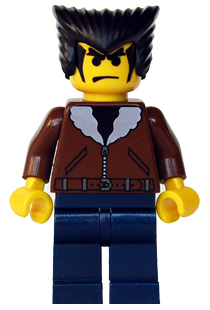 “Disagreements with Wolverine lead to disasters,” he said straight-faced. Looks like I may be in for some trouble as soon as he dons his adamantium claws.